As you’re reading this, Carinn Seabolt and I are on our way to MarsCon in Virginia. She’s their Gaming Guest of Honor, and I am honored to also be a Special Guest. Today’s To the Stars Week Pick is another D&D-drive (5e) space fantasy game that invokes “Star Wars, Firefly, Cowboy Bebop, and Guardians of the Galaxy” as inspirations. 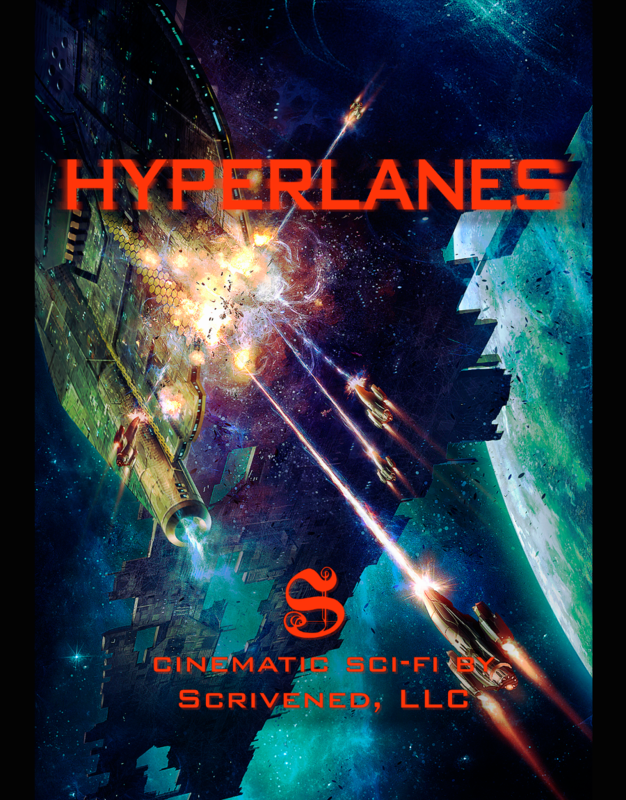 HYPERLANES has a solid following and a lot of good ratings from its fans, so as you examine your 5e space gaming options, you’ll want to take a look at this one. Thank you to all our wonderful backers.